28th August 2014 – Commonwealth Games 100m Champion Kemar Bailey-Cole (JAM) followed up his Birmingham Diamond League win with another world class victory in Weltklasse Zurich. 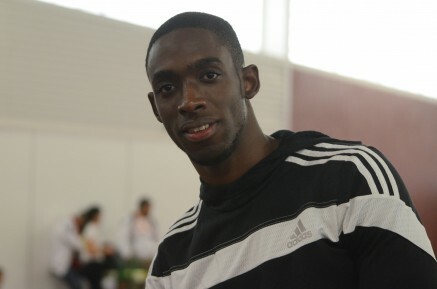 The 22 year old Glen Mills coached athlete ran 9.96 secs to win from Mike Rodgers with European Champion James Dasaolu 3rd. Behind the top three were Asafa Powell, Adam Gemili, Nesta Carter and Richard Thompson. Shannon Rowbury (USA) finished 2nd in the 1500m in a career second fastest ever 3:59.93 secs just missing the win by one hundreth of a second. Suffering from a flu African Champion Hellen Obiri (KEN) placed 9th in 4:04. With a 55 secs last lap Galen Rupp (USA) took 3rd in the 5000m in 13:07.82 behind winner Caleb Ndiku’s 13:07.01. He closes his 5000m account for 2014 with two DL 3rd places and two DL 4th place finishes. Schillonie Calvert (JAM) ran 11.20 to place 2nd in the B 100m and then help the Jamaica team to 2nd in the 4x100m. Her time in the 100m was the joint 8th fastest of the night in the three 100m races contested.